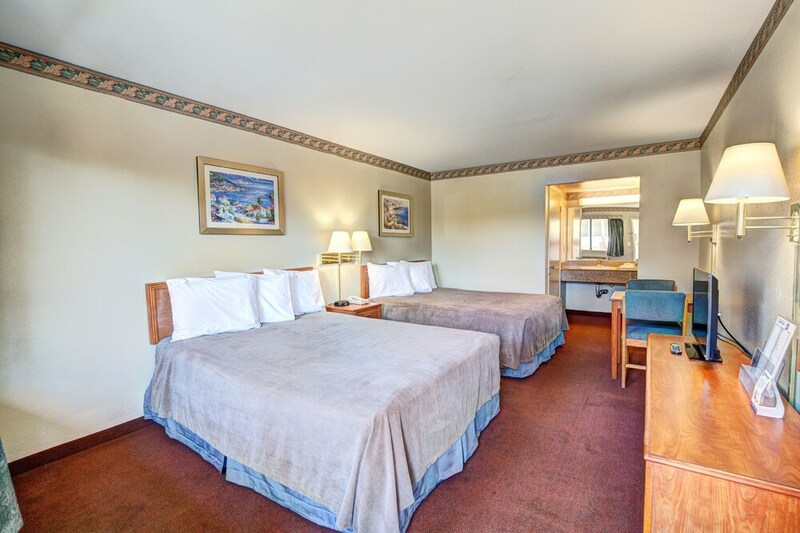 Located in Sacramento, Good Nite Inn Sacramento is a 3-minute drive from Granite Regional Park and 5 minutes from California State University Sacramento. This motel is 4.1 mi (6.5 km) from University of California Davis Medical Center and 4.2 mi (6.8 km) from U.C. Davis School of Medicine. Make yourself at home in one of the 102 air-conditioned rooms featuring flat-screen televisions. Complimentary wireless Internet access keeps you connected, and cable programming is available for your entertainment. Bathrooms have shower/tub combinations and hair dryers. Conveniences include desks, housekeeping is provided daily, and irons/ironing boards can be requested. Good Nite Inn Sacramento is located a quarter-mile from Sacramento Light Rail's Power Inn Station with access to downtown and Folsom. The property is also 1 mile from Sacramento State University. Cal Expo Fairgrounds, Water World, and Arden Fair shopping center are 5 miles away. Amenities include outdoor pool, coin-operated laundry facilities and fax/copy services. The lobby offers free wireless Internet access. The motel provides complimentary guest parking (limited spaces), as well as morning coffee and tea. This Sacramento motel does not have a restaurant, but there are several dining options within the surrounding area. Prepaid credit cards are not accepted for any bookings. Please note that cultural norms and guest policies may differ by country and by property. The policies listed are provided by the property. This hotel will place a credit card authorization for the first night's stay for any bookings where payment for the stay will be made on site instead of at the time of booking. For more details, please contact the property using the information on the reservation confirmation received after booking. This property provides free parking for 1 vehicle per room per stay. Additional parking is available for a surcharge. For more details, please contact the property using the information on the reservation confirmation received after booking. This property's policy is to refuse certain bookings for the purpose of group events or parties, including pre-wedding stag/bachelor and hen/bachelorette parties. Only registered guests are allowed in the guestrooms. Alcohol is not served at this property.